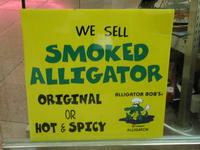 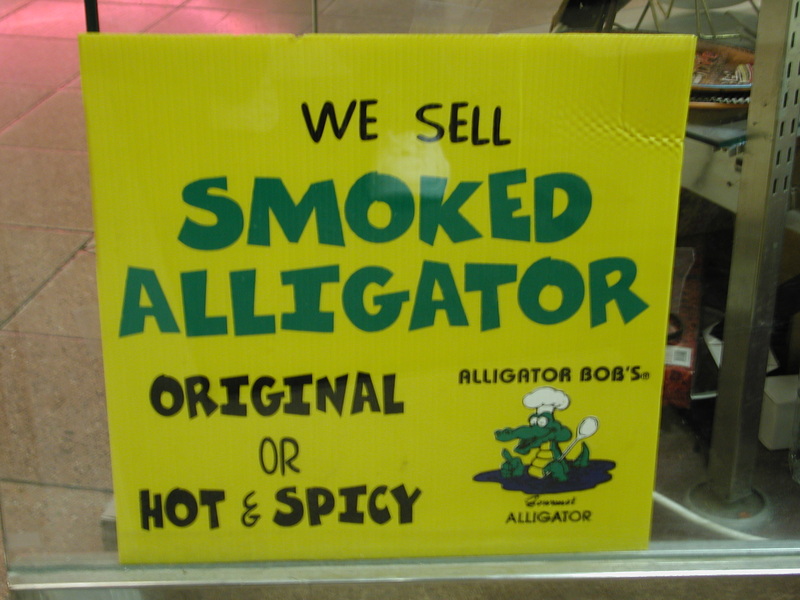 Who knew that Bob sold alligator? 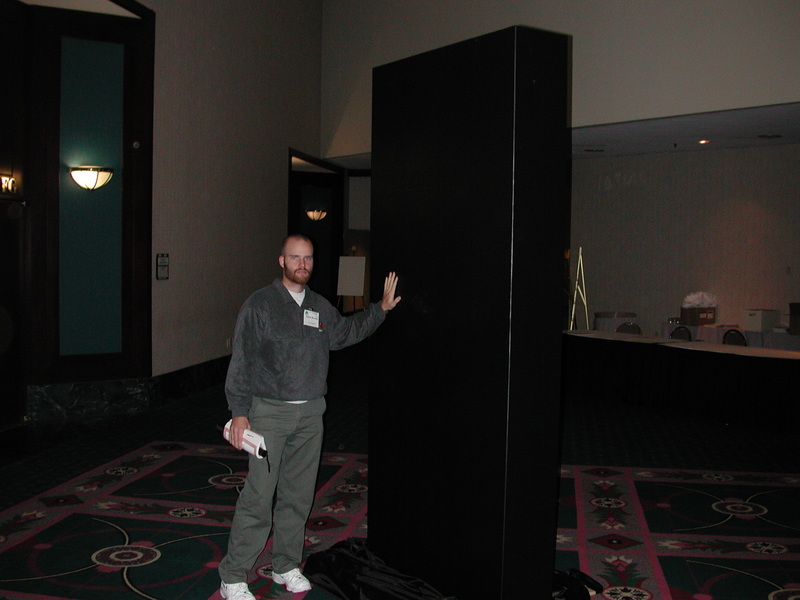 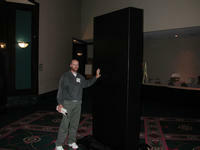 Me in front of the 2001 monolith at the conference. 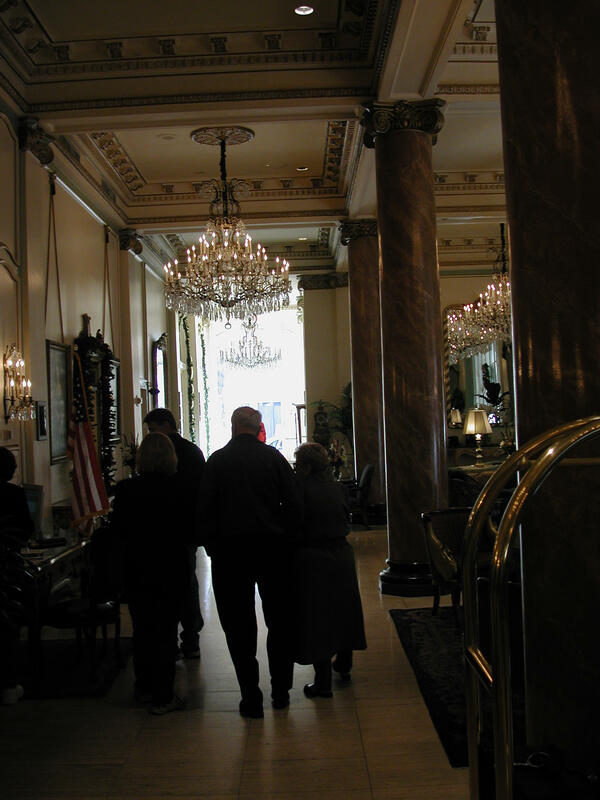 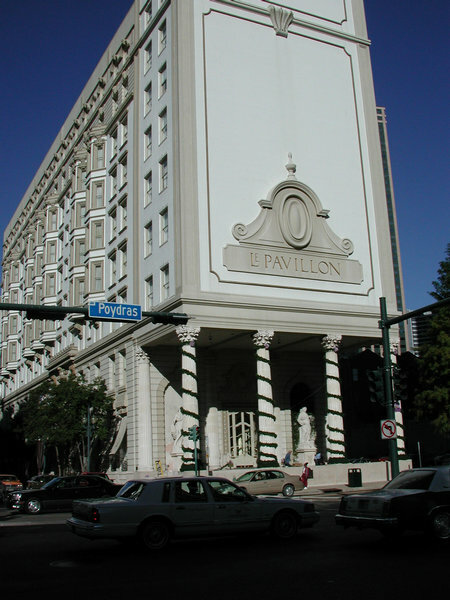 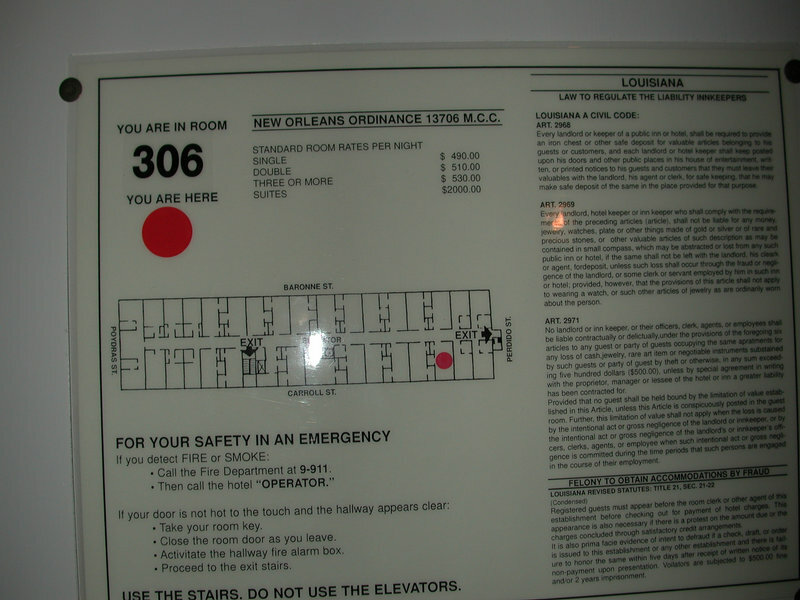 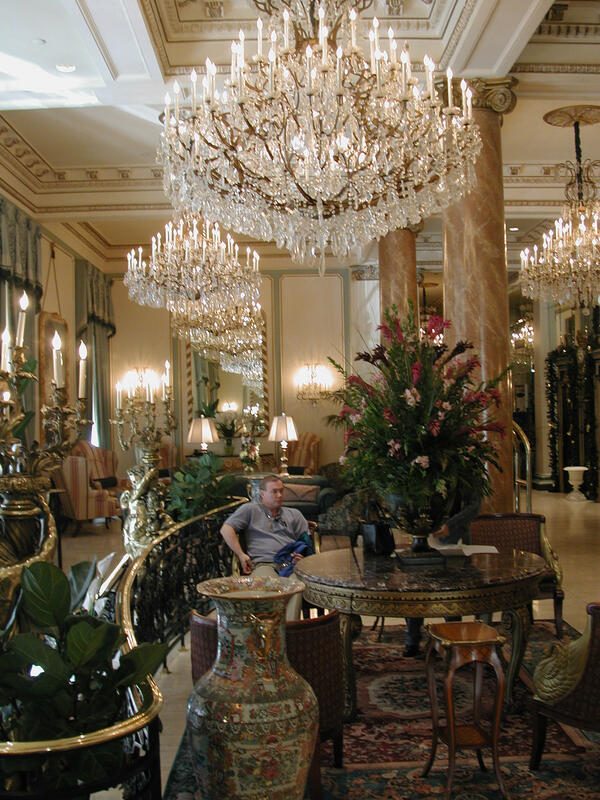 We stayed at the Le Pavillon hotel -- it was over the top. Super nice, crazy chandeliers and well-dressed people everywhere . 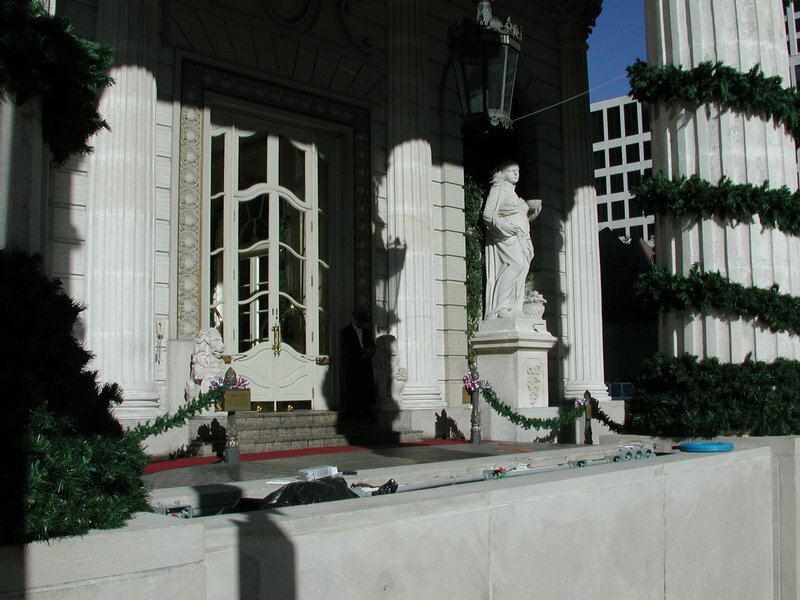 . .
From out front -- note the greeter in the tux and top hat that opens the door for you. 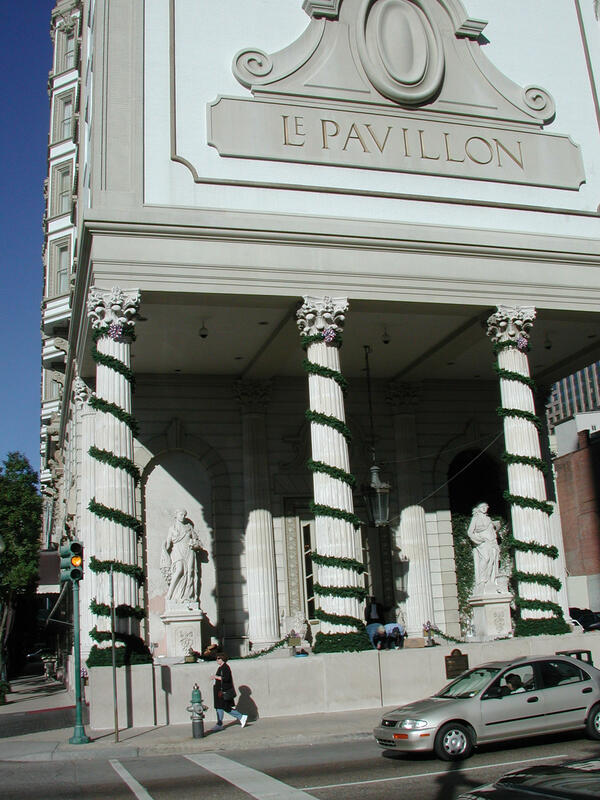 Huge colums, statues, the whole deal. 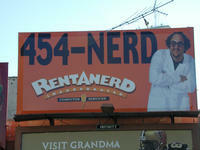 Wonder if they need employees? 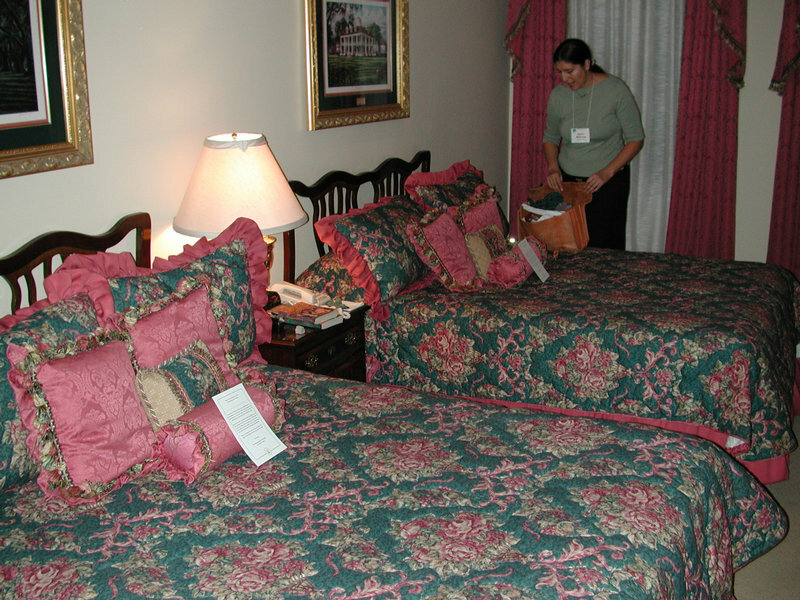 Inside the room, and that's Rachel in the back. 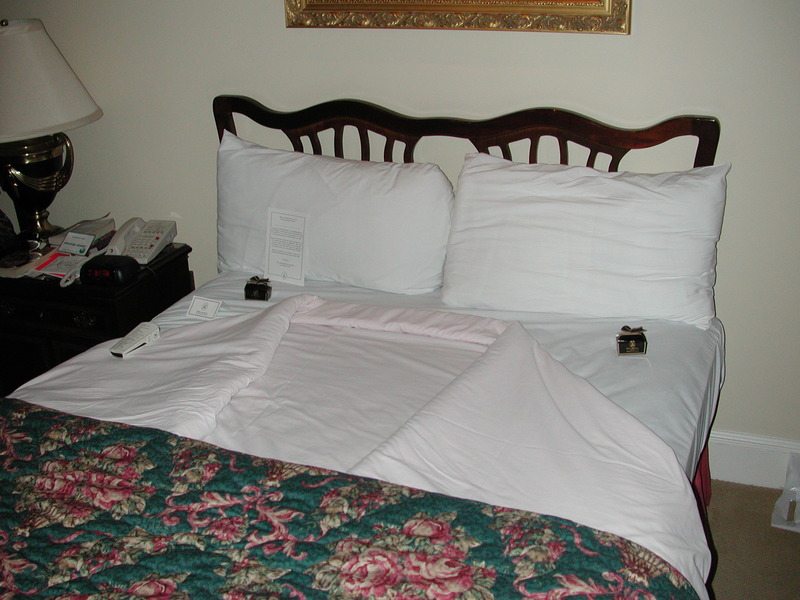 12 pillows and a little note on your pillow each night, nutty! 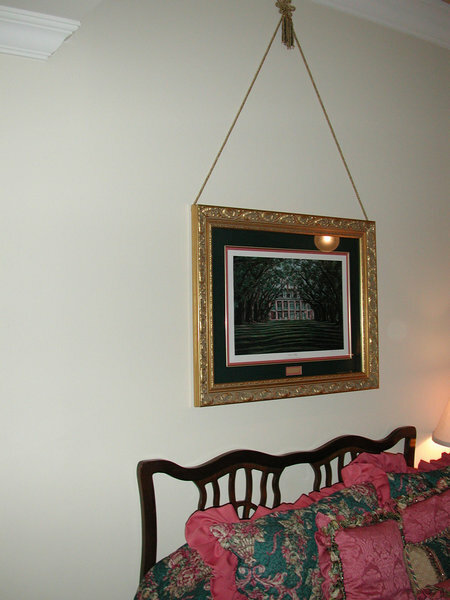 Artwork over the beds, with its own special light. eh-hem. We did not pay that much. The turndown service. 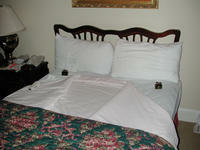 Normally it was done on each bed, this was super-funny, that they did it for both on one bed. 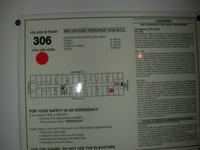 They also gave you chocolates and a little card detailing tomorrow's weather forecast. 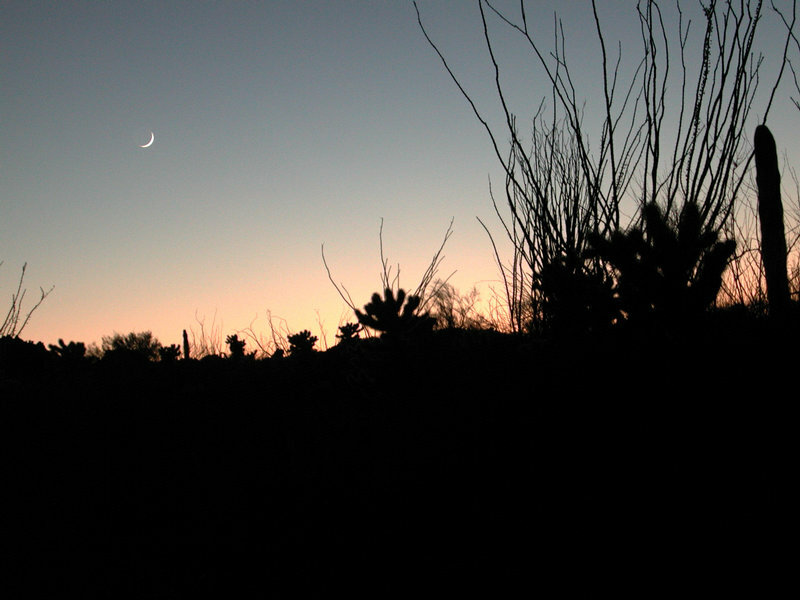 A not relevant but pretty picture taken in the Pinacates, Nov 18, 2001.